Welcome to Job Charnock's 'chance-directed, chance-erected city, Lapierre's City of Joy'. Kolkata was born in August 1690, following the midday halt of Job Charnock, Chief of the British East India Company, on the eastern banks of the River Hooghly, overlooking the bustling village of Sutanati. The city grew around Sutanati and the adjoining villages of Govindapur and Kalikata (site of the famous Kali Temple ), from which is derived its present name. Charnock's halt ws, however, no accident. Fifty years earlier, Mughal Emperor Shah Jehan had granted a concession of free trade in Bengal to an English surgeon, Gabriel Boughton, as fee for effecting a royal cure. Over the next 250 years, Kolkata grew into the leading city east of Suez, and the second city of the British Empire. 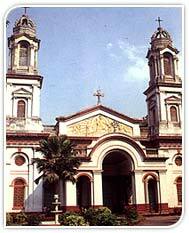 Inextricably interwoven into its history are River Hooghly and the port (Kidderpore Docks), both witness to the eventful and fast changing mulieu of the city. Kolkata's growth was further enhanced by a hinterland rich in coal, iron ore and mineral deposits, and as the focal point for the tea, jute and engineering industries. Today, Kolkata is India's largest metropolis, with a population in excess of 11 million. To the first time visitor, Kolkata is indeed overwhelming. It presents a unique blend of 19th century Europe and the throbbing vitality of a metropolis of teeming millions. The city has produced some of India's fines literature, theatre, films, art and culture, and personalities- an output that has influenced the very course of Indian history. The names of Tagore, Satyajit Ray, Mother Teresa and Mrinal Sen readily come to mind. Quaint trams trundle down narrow streets amidst jostling crowds spilling over from the pavements. Kolkata even has the hand-drawn rickshaw, now made famous in the film, City of Joy. In sharp contrast is Kolkata's pride, the Underground Metro Rail Service, which is India's first and one of the world's most modern, presently running between Esplanade and Tollygunge, a 10 km route (total route length 16.4 km). For the shopper, Kolkata offers some of the best bargains in clothes, leather goods, as well as trivia and exotica. Transport costs are still among the lowest in India. As for food, the bewildering variety available on offer is matched by the most reasonable prices. Indeed, Kolkata is as much a haven for tourists with a shoe-string budget as it is for big budget tourists. Numerous hotels, including several of international class, offer comforts and conveniences to suit every budget, cuisines to please every palate. There are also Clubs in the finest British tradition such as Bengal Club, Kolkata Club, Kolkata Cricket & Football Club and Saturday Club, to name a few. 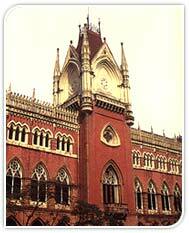 On the other hand, the essence of Bengali and Indian culture is evident in several landmarks located across the city. Area : 187 sq. kms. Winter- Max. 29.3, Min. 9.6. Languages Spoken : Bengali, English, Hindi etc.